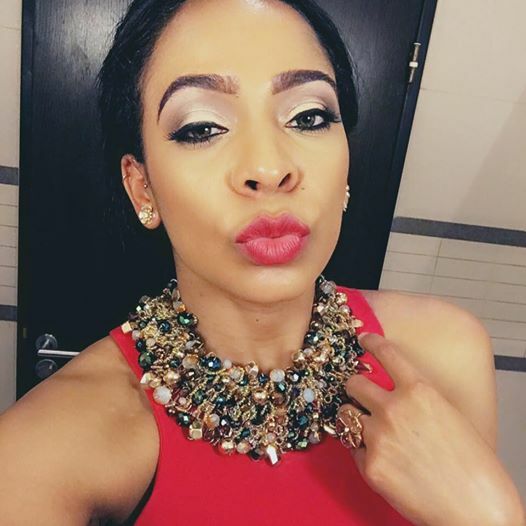 Big Brother Naija second runner up and most talked about housemate Tokunbo Idowu TBoss, has finally reacted to Reuben Abati's controversial article, describing her breasts. In a recent interview with The Nation, the reality star who generated so much buzz in the just concluded show opened up about her experience and relationships in the house and how she handles negativity. You made it to the top three despite several challenges. Before going into the house, did you have a strategy to win, to get votes? Absolutely not. Before I went into the house, I did a little bit of research with the limited time I had…to go through some previous winners and see, maybe, what it is they did that made them likable, what strategy they applied. Just before I went into the house, I’m like, ‘abeg, it’s too much for me, I cannot.’ The only thing I know how to do is to be myself. I will be nice. I will get angry. I will scream. I will cry. I will laugh. I just went in there and I was myself. That was my only strategy…..who loved me loves me, who hates me… I have seen some of the comments and it’s sad. Now that you’ve come out and you’ve seen the comments. Which of those comments have pained you the most? You also received the most nominations for eviction from your fellow housemates. How do you feel towards them for getting that title of being the most nominated housemate for eviction? It was a game. People need to understand that it was a game. Everyone went in there fighting for themselves to get that prize money. It was a game. But truth of the matter is, being enclosed with people, you’re forced to live with them, cry with them, laugh, eat, shout with them, fight with them, doing our tasks, you start bonding with them and you start liking them. Okay, every week it changes. Today, I like you, tomorrow, I don’t like you too much. It happens. Husband and wife, they fight every day. But I don’t have any bad energy or bad feelings towards any of them. They did what they felt they should do under the circumstances. And it’s fine. I love them all. They’re all talented, crazy people but I love them all. Of the housemates, who is your favourite? I don’t have favourites per se. but the person that I would say I really connected with and really bonded the most with would be Debie-Rise because she stayed to the end with me. But off and on, I like everyone. Could boredom have been responsible for some of the crazy moments that happened in the house? What is crazy moment in your opinion? Like the moments when you exposed your breasts, about twice… were they intentional? I was showering. Did I come to the living room? Where did I expose my breasts? I was in the private area. Was I in the lounge? I actually saw videos of us in the bathroom but not shower hour. There were two instances that the internet has captured that you took off your top. Weren’t you aware of what you were doing then? See, the Big Brother house is a place where you showcase yourself. You’re free to be T-Boss. Whoever T-Boss is, you show the world who T-Boss is. And in my own life, in my normal day-to-day life, I don’t like to wear clothes when I’m walking around in my house. I like to be free, here (pointing from her waist downwards), covered here (pointing upwards from her waist), what’s the point? Or I’ll just wear one small blouse. The Big Brother house was like my house at a point. So, I would just be very very very free. I didn’t do it out of boredom. No, I was just being myself and walking around without clothes… I didn’t go to the kitchen, you know, because, then, that is like really seeking attention or go out into the garden or to the arena. No, I didn’t do that. Everything creates a buzz. Even when I burb, it creates a buzz. People want to judge, people want to comment. And it’s fine, you know. Just don’t read too much into it. A columnist, Reuben Abati, wrote a piece where he said you could have won, and were the most worthy to represent Big Brother Naija brand but you lost because of your arrogance. What’s your response to that? I do not feel I’m an arrogant person. I’m sorry he has that opinion of me. I read the comments. My people actually were afraid that I would get emotional and sad about it. But I’m not. I was actually quite amused when I read his comments about the ‘mango’ part. It was actually quite comical. Also during the show, some of the housemates described you as ‘manipulative’ and some commentators also used that word and called you a ‘white witch’. I don’t know. If they saw me like that, it’s sad. I’m not a manipulative person. And I’m definitely not a witch. Oh my God. And my bed is really not cursed. The issue of Kemen sleeping on the same bed with you led him to being disqualified from the house. Kemen has said what happened under the sheets wasn’t what viewers thought. He said when you come out, you’ll be able to talk about it. What really happened? Well, since he is saying that, he should just go ahead and actually say what really happened. (Making faces)… See, since I got back (from South Africa), I haven’t slept. I had one hour sleep last night. My head is full with media interviews and so much running around. The last thing I want to think about now is the Kemen issue. I didn’t like it and to be very honest, Kemen was a good friend. But I really do not want to comment about this right now. I am not ready. When I’m ready, I will speak about it. It was only after leaving the house that some truths about the housemates, like TTT being married and Gifty being married too, came to the surface. Since coming out of the Big Brother House, have you discovered any surprise about your fellow housemates? Oh, really, she (Gifty) was once married and she did not know. OK. So far, nothing has surprised me. About Thin Tall Tony, I always said it, Tony is a married man. He looks like a married man. He carries himself as someone’s father. I have always been saying that in the house. About this Gifty, actually, I’m not thinking much about that right now. So far, I haven’t heard anything that I would say is surprising. No, I’m not. I have never been. No.